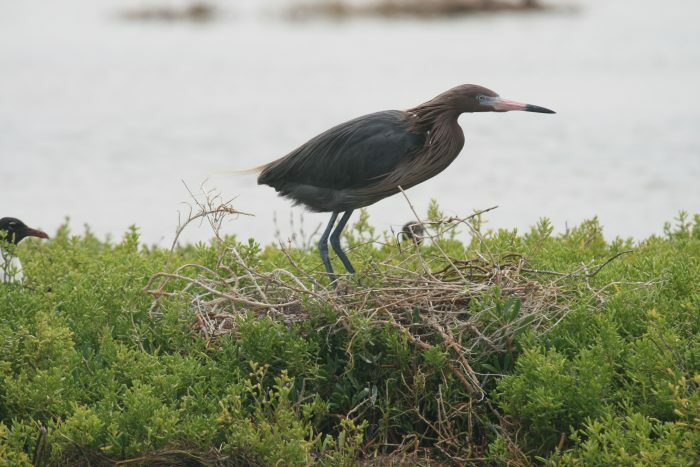 GPS transmitters were used to examine the breeding ecology of 28 Reddish Egrets in Texas. The transmitters recorded six locations per day, every day. With those locations, we were able to determine several aspects of their breeding season ecology such as nest site fidelity (i.e. if individuals return to the same island for nesting every year), how far they fly from their nest site to foraging locations, and the type of habitat they use for foraging. Fourteen of the egrets were tracked for more than one breeding season and only one nested at the same site during the two years that it was tracked. 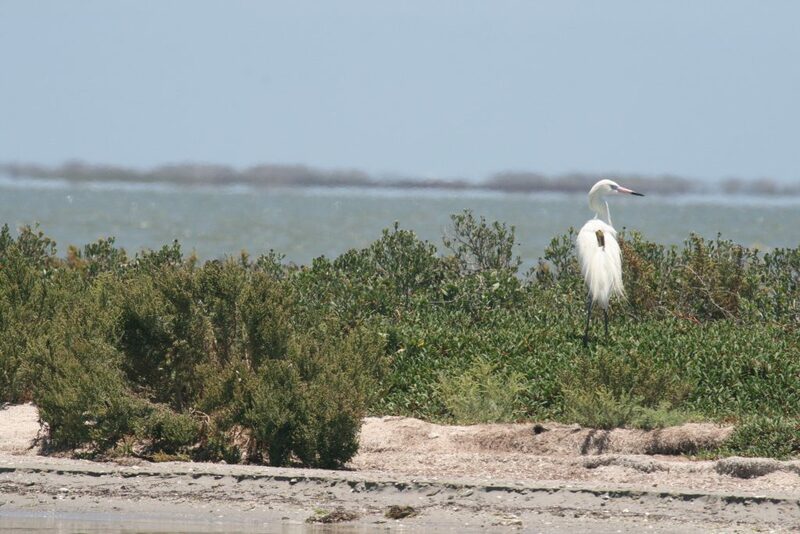 Other individuals did use the same site in nonconsecutive seasons, and most nested at colonies within the same region of the Laguna Madre. Most individuals also exhibited a high degree of fidelity to foraging areas across years. 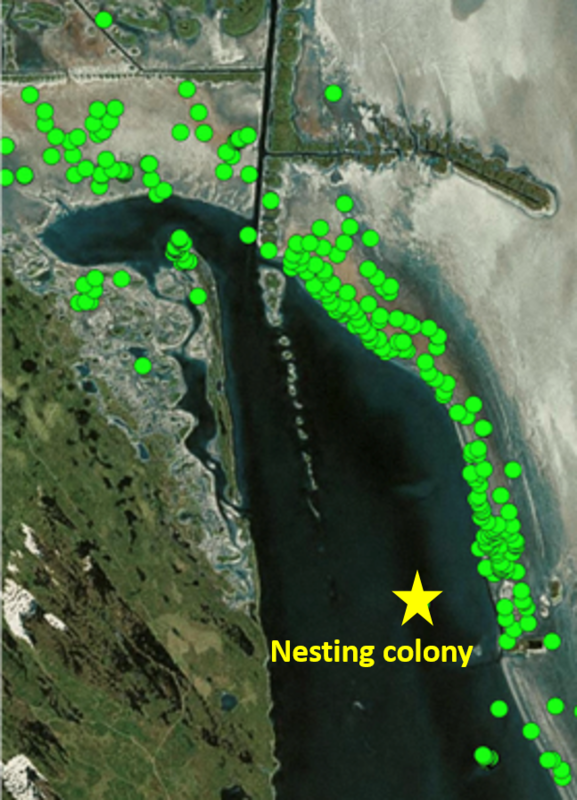 All of the tracked Reddish Egrets flew an average of 15 km (9.3 miles) from their nest site to foraging sites and the amount of foraging habitat surrounding a colony was a good predictor of the number of breeding pairs at that colony. Similar to other studies, the individuals in this study used unvegetated flats for foraging. Reddish Egrets are very active when they forage, often running after their prey, and need open shallow water to do so. The results of this study provide information on the habitat requirements for Reddish Egrets and the need to protect those habitats.